Laura Casey Interiors is a full service interior design firm based in Charlotte, NC. The designers collaborate with architects, contractors and trade vendors on new construction projects and large scale renovations. Laura Casey and her team offer a turnkey experience, providing excellent client service from design concept through installation. 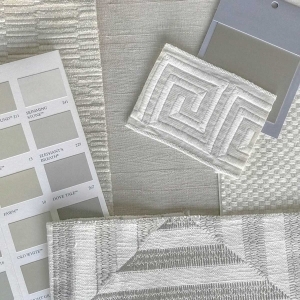 As part of the interior design process, Laura Casey Interiors consults with the client to create a shared vision for the space. Highly customized schemes are then presented in a professional and visual manner. 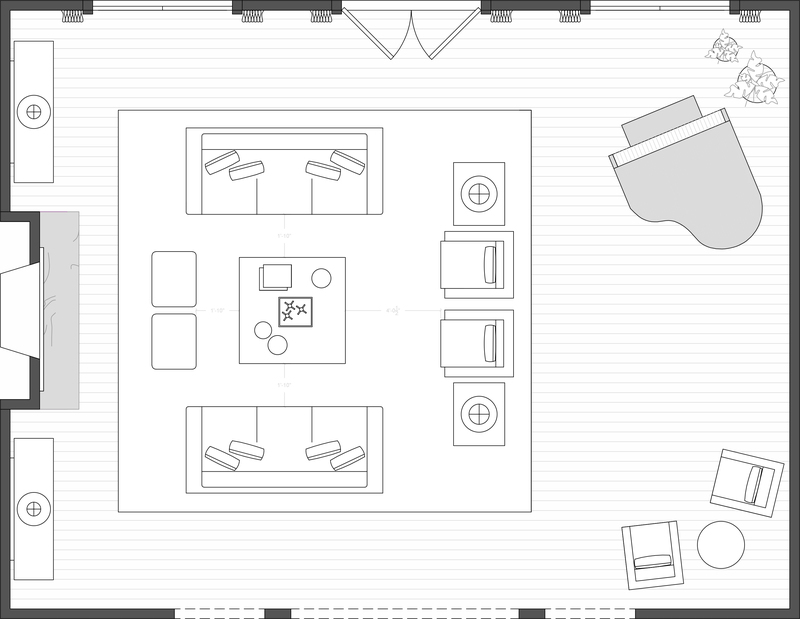 Technical drawings, including floor plans, elevations, and 3D renderings are used to clearly convey designs. 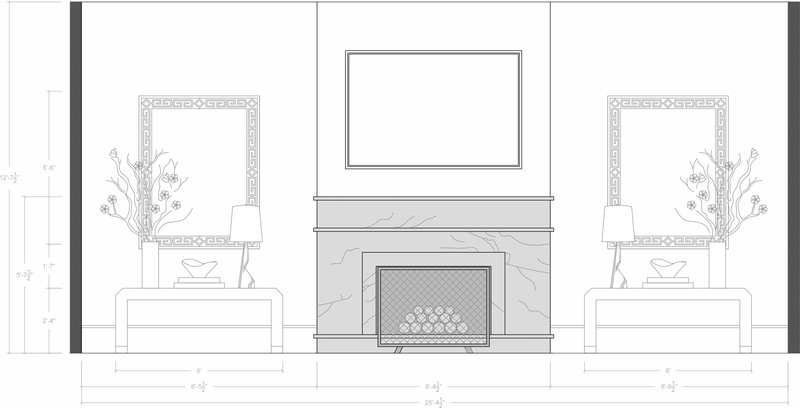 A finished project is the direct result of meticulous planning and attention to detail. 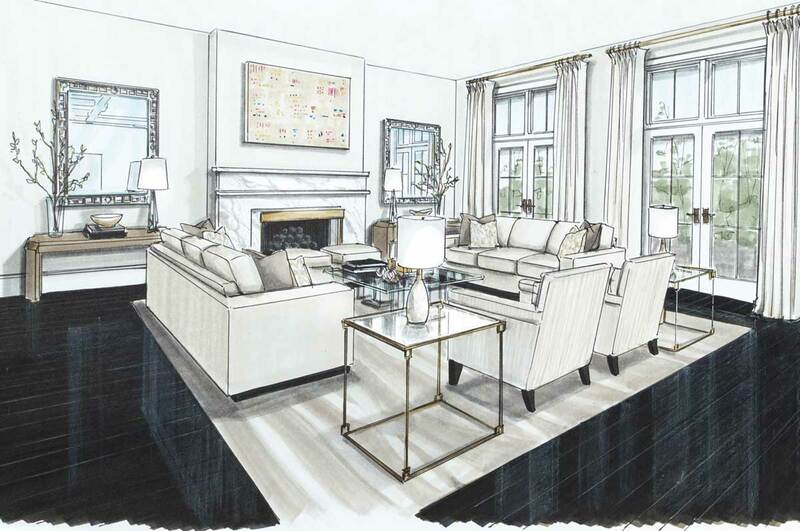 Laura Casey Interiors creates timeless interiors that are beautiful yet comfortable. The firm’s scope spans from interior design projects to renovations and new construction homes. Laura Casey understands the important relationship between architecture and interior design. Before construction begins, the designers work with the architect, builder, and landscape architect to ensure a cohesive design. In construction projects, Laura Casey is well versed in the bidding process which allows for the project to flow smoothly and remain in budget. Interior spaces are decorated using a refined sensibility. Room schemes include custom millwork, rugs, furniture, window treatments, lighting, artwork and accessories, resulting in designs that are unique to each client. Laura Casey Interiors designs commercial spaces to be both visually appealing and to maximize functionality. As a nationally licensed interior designer, Laura Casey is fully versed on building code and regulatory requirements. Designers specify contract grade materials and finishes, taking into account factors like acoustics and optimum lighting levels. Sustainable design is incorporated into the project when appropriate, an emphasis on ergonomics is used when space planning. Understanding the unique constraints that commercial construction entails, Laura Casey Interiors ensures the project remains on schedule and in budget. If you are interested learning more please contact us.